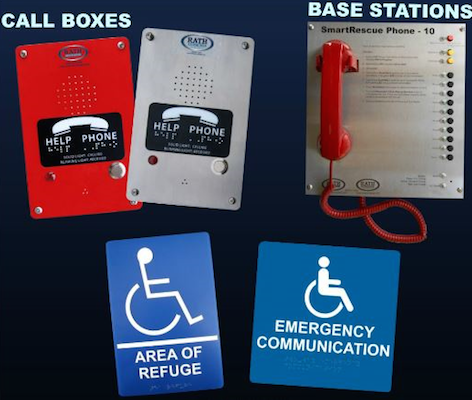 The Americans with Disabilities Act (ADA) now being enforced, requires a Rescue Assistance System in all newly constructed multi-story commercial buildings and public accommodations to provide a means to request evacuation assistance in emergencies. The ADA also applies to significant renovations of existing multi-story facilities. Beckwith is an authorized dealer of Rath Refuge Assistance Systems. We design, sell, install, and service area of rescue systems for apartments/condos, commercial buildings, educational facilities, government facilities, healthcare facilities, hotels, and senior housing facilities.